Home / brand new / brand new artist / Charlotte Bash / música / Charlotte Bash Unveils New Single "Leave"
Charlotte Bash Unveils New Single "Leave"
LA singer/songwriter Charlotte Bash has unveiled her brand new single Leave. This is an infectious self-confidence fueled song with a cool guitar riff and strong vocals. 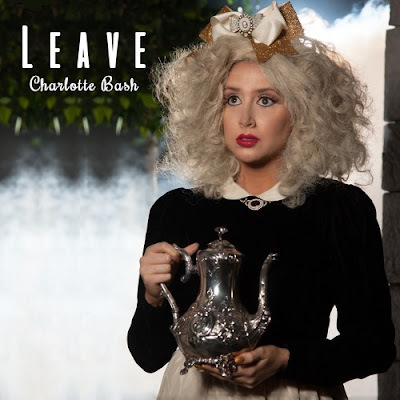 Leave is the lead single from her upcoming debut album, Princess Game, set to arrive on June 30th! Soaring synths, and a British pop style influenced by The Smiths, Depeche Mode, Sia and Amy Winehouse permeate the melodic inflections of the track, building a skyscraper of crystal clear vocals that put Bash’s talents at the very center. A thumping beat pulsates beneath an earworm chorus, sweetly building a climactic bravado of emotions, for one unforgettable pop track that combines strength and positivity in one fell swoop! Check it out below! Born and raised in Los Angeles, Bash spent much of her youth exploring the music scene, eventually graduating from Indiana University’s Jacobs School of Music where she trained as an opera singer. Her undeniable talents have given her the chance to grace the stage alongside artists like Sara Bareilles and Aaron Carter — in both national and international venues. Her new electro-pop inspired track, Leave” is full of sparkling, positive platitudes that exude tenacity and bold determination.